We are mainly on 20M SSB around 14.249 MHz + or – but look for us elseware if you cannot find us since we may be elsewhere. During school at around 10am I will usually get on CW during lunch on 20M and around 11:30 am. Brent (KB1LQD) will as well. All of us will operate under the KB1NAY club call sign. We do have the possibility of moving to 40M but have not done it so far. We are using a Kenwood TS-440S, 100 Watts into a Hamstick dipole up about 20 feet on a homebrew PVC telescopic mast. For the contest we can only use one radio so we decided to use this rig owned personally by us (KB1LQC, KB1LQD, KB1MGI). After the first day today (Monday, we made about 39 or 40 contacts, the first contact was with Russia! We have talked to about 15 different states, four countries including Russia, Germany, Croatia, and Canada. We have also talked to four other schools and hope to talk to many more. Mr. Steeves (KB1MKW) did get one of his physics classes on, all of which had never even heard of Amateur Radio and they were very enthused. They made a total of five contacts in their operating time–one of which was DX! All of them were very excited to get on the radio and asked if they could do it tomorrow! I even had a few kids from that class come up to me later in the day expressing how much fun it was to talk on the radio! Well, we hope to talk to you soon and have many kids talk on the air as well. Thanks for the excuse to get as many kids on the are as we can (especially during school, hi hi!). We hope to get more students involved with amateur radio, and this seems to be one of the ticket for the ride! NEWINGTON, CT, Feb 17, 2006–The Amateur Radio Emergency Service (ARES), the Military Affiliate Radio System (MARS) and the HF digital e-mail system Winlink 2000 all got positive mentions in a post-Katrina report from the US House of Representatives. US Rep Tom Davis (R-VA) chaired the panel. References to ARES, MARS and Winlink appear in “A Failure of Initiative”–the final report of the Select Bipartisan Committee to investigate the preparation for and response to Hurricane Katrina. MARS was cited for its role as part of the Shared Resources High Frequency Radio Program (SHARES), an emergency federal communication system put into play when other resources are unavailable. The report says that “within days” of Katrina’s landfall, NCS called upon more than 430 SHARES stations across the US to, among other things, assist first responders conducting search-and-rescue missions by relaying information to government agencies, by relaying logistical and operational information among FEMA EOCs in Georgia, Mississippi and Louisiana, and by handling health-and-welfare messages between volunteer agencies in Georgia and the American Red Cross national headquarters. THE Salvation Army, the report pointed out, operates its own system of Amateur Radio volunteers known as SATERN (Salvation Army Team Emergency Radio Network). “During the Hurricane Katrina response and recovery effort, SATERN joined forces with the SHARES program and received over 48,000 requests for emergency communications assistance utilizing federal frequencies made available via the SHARES program,” the report noted. The 2006 edition of the “Swiss Army Knife for PIOs” is here. To reduce mailing costs, please get together with your Section PIC Ron Wood, W1PLW and let me know if you want one. I will be placing an order shortly. I can be reached at w1plw@aol.com or by calling 508-481-0272. Does your club have someone who handles the public Information for your club? Would you like to have someone do it but don’t know how to get it started? Let me know and I will work with your club or public information person. This past year we have gotten some great publicity and some not so good. 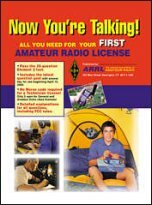 Let’s all work together to send out a positive image of Amateur Radio. In taking with people throughout the state this past year, I was amazed at how many people didn’t even know we were still around. Let’s change that this year. Field Day will be here soon. Let’s get the word out. Invite the public and your local officials to your site. Let them see what we can offer them. I am always updating the speaker list for Ea. Ma. If you are interested in passing your knowledge on to another club or group let me know and I’ll get you on the list. The list is an aid for clubs looking for speakers. I would like to say thank you to all the well wishes while I was in the hospital for bypass surgery this past Oct. I’m am doing much better and getting stronger and back up to speed. Rehab is going well. If you’re in the Marlborough area look for me while I’m out doing my daily walks. At least the weather has been good for that. I look forward to seeing some of you at Field Day and all of you at Boxboro this year. Please allow time for setup and take down of any equipment during this exercise. A widespread medical emergency from a contagious illness has caused problems across the section. This medical emergency and its highly contagious nature have grounded most deployments to field stations and EOC’s. People across the section have been asked by local officials to remain in their homes for several weeks and not to venture outdoors for fears of the illness and its contagious nature. Amateur Radio usage will need to come largely from support at home stations and a few selected club or EOC stations that are on the air. Official agencies are currently overwhelmed by the medical emergency and have not called for Amateur Radio support as of yet. ARES leadership is requesting ARES Nets to activate on designated frequencies to collect the resources of home stations and Amateur’s abilities to withstand a prolonged period of time at home and providing vital communications via their homes for as long as possible so that when requests are received, they can be handled remotely as required. •	Local ARES team coordination and deployment as well as local NTS and tactical message handling. •	Intra district and interdistrict tactical and formal message handling. •	Gathering home station resources and capabilities across the section via drill messages disseminated from section leadership. •	Utilization of HF, VHF, UHF, Packet, IRLP and EchoLink modes of communication. This includes utilization of SKYWARN frequencies as required to fill the gap of local ARES frequencies and SKYWARN frequencies. •	Utilization of home stations at various points across the section and interfacing with any EOC’s or Simulated EOC’s in our section or other sections where appropriate. •	Utilization of the New England Network integrated conference server, which is the EchoLink *NEW-ENG* conference node and IRLP Reflector 9058 as a command net for communications within the section and outside the section. For this exercise, it is expected that all ARES DEC’s/EC’s, or their designee will support this drill and what is to be exercised. Those SKYWARN liaisons that also perform ARES/RACES are also asked to participate. As always, at the local level, message handling and formation is critical and keeping Hams at the local level busy must occur. The Eastern Massachusetts ARES leadership will inject message traffic into the system requesting information from net participants in NTS and tactical message format in an attempt to get responses from those participating. We will be requesting information from Amateurs on their equipment and resources to operate effectively from home and that their personal needs can be met from home for an extended period of time without venturing outdoors. This is in the hopes to generate more traffic and build an updated database of home station resources in the region. We will ask for messages be directed to their local EC, DEC or the Net Control on frequency. Net Controls are asked to use their discretion in doing call-ups and to be prepared for the ARES leadership to pass traffic of tactical and formal nature to each net. Amateurs are asked to then build tactical messages and formal messages in response to this traffic as required. For this drill, the Eastern Massachusetts ARES SEC will be located either at home or at the Southeast Massachusetts Amateur Radio Association Club in South Dartmouth Massachusetts, performing his duties as ARES SEC and other duties to support operations as required. The exercise will be controlled and walked through the scenario by the SM, SEC, and DEC’s or the staff will assign a designee to walk through the scenario on the air. This will be done through a series of tactical message announcements. Also, as stated previously, the staff will be injecting NTS traffic messages along with tactical message announcements on the air in an attempt to get responses from people on the air concerning their home resources. This will make it easier to have more message traffic during the course of the exercise and should allow for easier play by those participating. It will also build up an updated database of ARES resources in the section. •	Have all teams have one liaison that monitors their local RACES Repeater in addition to their local operations. •	Have as many home stations on the air as possible passing tactical and NTS traffic on their capabilities. o	IRLP and/or EchoLink nodes. o	Utilizing the integrated EchoLink *NEW-ENG* Conference Node (Node #9123) and IRLP reflector 9058 as a command net for contact with the Eastern Massachusetts section and surrounding areas. o	Utilizing Various 2 Meter Repeaters that the ARES teams will be utilizing in the area when necessary. o	Utilizing SKYWARN frequencies as an additional backbone as needed to ARES and RACES infrastructure. o	Utilize RACES frequencies where active for support in the drill along with local ARES and SKYWARN frequencies. •	Establish contact with other ARES districts and EOC’s/Simulated EOC via HF (3943 and/or 7245 KHz depending on band conditions). •	Test and evaluate the range of Home stations for relay operations. •	Amateurs are encouraged to test their backup power equipment wherever possible. •	Mobile “roving” Amateurs are not required but welcomed to participate. •	Practice sending many test NTS messages. •	Practice sending many test tactical messages. •	Practice sending traffic between home stations within each ARES team. •	Practice sending traffic between any EOC’s or home stations within the Eastern Massachusetts section. •	Practice sending traffic to other section’s ARES/RACES/SKYWARN personnel where appropriate. •	Assure MARS Liaisons have a way to gather ARES reports to formulate into EEI’s (Essential Elements of Information). •	All communications options should be utilized. EC’s may throw in “failures” to test out “failover” of communications wherever possible as long as they are properly communicated up and down the ARES leadership. •	Many messages of both a tactical and NTS formal nature should be sent within the teams participating, between teams and between districts wherever possible. In this drill, we’ll be looking for answers to specific requests on home station capabilities and resources. •	Frequent usage of the phrase “This is a Drill” should be incorporated with any messages, traffic or announcements relating to the drill as required. The following is a list of agencies and a general list of EOC’s that will be playing in the exercise. There may be various city/town EOC’s, Red Cross Chapters and simulated EOC’s participating in the exercise. While this drill is focused on home stations, EOC participation will be welcomed if it occurs. If enough of them become known, the document will be updated to provide a short listing. The club station will be active for this exercise staffed by Amateurs from the Southeast Massachusetts Amateur Radio Association and the club’s ARES group known as SEMARA-ARES. This station will act as one of the key hubs for the region. This drill is focusing on home station capabilities. We encourage many home stations across the Eastern Massachusetts section to monitor and check into nets across Eastern Massachusetts district for ARES assistance. We encourage them to answer the requests made via NTS either in NTS or tactical format. Some home stations can act as “simulated EOC’s” or net controls where appropriate. We encourage stations to generate tactical message traffic and formal message traffic for ARES where possible. Mobile stations are encouraged to participate utilizing all modes at their disposal and can be utilized as roving stations as required. While this drill is focusing on home station support, we understand many Amateurs may be mobile and we want maximum participation in the exercise and mobile stations can give their home station resources while they are mobile. Please note that the SKYWARN Frequencies are more up to date on the first link. It is noted that IRLP and EchoLink nodes maybe connected either to the *NEW-ENG* Conference node or IRLP Reflector 9058. This will again serve as a command net for communications within the Eastern Massachusetts ARES section and for stations outside the section that wish to participate. Individual Hams are welcome to listen and if they have no other means to pass their information they can pass it over this system as needed. 145.15-Fall River Repeater PL: 123.0 Hz. There are additional local frequencies that maybe utilized in this drill at your local town/city level or at a regional level. Please contact your ARES DEC or EC for further information on additional frequencies that maybe utilized in your specific area during the drill. The potential exists for a widespread damaging wind event today. Due to preparations for that event, an update on the exercise will not be posted until this weekend. Thanks for your patience as we get through this active weather situation prompting SKYWARN mobilization. ….EASTERN MASSACHUSETTS ARES STANDDOWN EFFECTIVE LATE SUNDAY EVENING WITH SECURING OF SKYWARN OPERATIONS…. ….DETAILS ON FEBRUARY 25TH EXERCISE TO FOLLOW LATER THIS WEEK…. Eastern Massachusetts ARES stood down late yesterday evening with the securing of operations at both the Massachusetts State EOC and the National Weather Service in Taunton, Massachusetts. 10-20″ snowfall amounts were common across the NWS Taunton County Warning Area. Higher amounts of over 20″ were reported in the Hartford, Connecticut area and slightly lesser amounts of 6-10″ were reported in some south coastal locations of Rhode Island and Massachusetts. Numerous wind gusts were reported of 45 MPH or greater with a sustained wind of 38 MPH and a gust to 69 MPH reported at WQ1O’s home in Marstons Mills, Massachusetts. This caused isolated pockets of wind damage. Also, moderate coastal flooding was reported in East Coastal Massachusetts particularly from Boston South with some of the vulnerable shore roads closed or impassable during the time of Sunday Morning’s high tide. Concerning the ARES exercise, due to preparations for the blizzard, an update on what the exercise will involve will be posted by Wednesday or Thursday of this week. Since the exercise will largely involve home station support with little if any field station work, less preparation and lead time should be required. Thanks to all ARES, RACES, SKYWARN and MARS Amateurs who supported the effort during this major nor’easter which was classified as the Pre-Valentine’s Day Blizzard of 2006 by the National Weather Service Sunday Afternoon. …..REQUEST EASTERN MASSACHUSETTS ARES TO GO TO STAND-BY MOBILIZATION EFFECTIVE 6 AM SUNDAY FEBRUARY 12TH, 2006…. …..MOBILIZATION TO LAST THROUGH SUNDAY EVENING OR UNTIL STANDDOWN MESSAGE OR MOBILIZATION UPDATE IS POSTED…. ….BLIZZARD WARNINGS NOW IN EFFECT FROM 1 AM to 7 PM SUNDAY FOR THE NORTH SHORE AND BOSTON TO HOPKINTON AREA SOUTH THROUGH CAPE COD AND THE ISLANDS. HEAVY SNOW WARNING IN EFFECT FOR THE REMAINDER OF EASTERN MASSACHUSETTS…. All Eastern Massachusetts ARES personnel are requested to go to Standby Moblization effective 6 AM Sunday February 12th, 2006. A major nor’easter/blizzard will impact Eastern Massachusetts with 10-18 Inches of snow with potentially higher amounts, potential for snow/wind damage, and moderate coastal flooding. The greatest threat for major infrastructure damage is first and foremost on Cape Cod and the Islands and East Coastal Massachusetts. See Blizzard Coordination Messages for details on Blizzard/Winter Storm/Coastal Flood Watches/Warnings. For the standby mobilization, we ask all ARES members to go to their nearest SKYWARN repeater and relay reports of snowfall, wind damage etc. for NWS Taunton. If you are a capable net control or liaison, offer your services in that capacity to help SKYWARN Net Controls. The town of Bridgewater EOC, which serves as a Net Control/liaison center for Eastern Massachusetts ARES, will be active either late tonight or Sunday Morning and throughout the day on Sunday. Its goal will be to assess any issues requiring ARES assistance and assist with report gathering for NWS Taunton station WX1BOX. Given the potential for travel to be paralyzed, any type of ARESMAT or ARES mobilization for shelters that might occur if conditions are bad enough may wait until later in the day Sunday or even Monday. Keep that in mind if such mobilzation is needed. Have your Go Kit prepared and ready to go and any battery operated equipment or generators for home used prepared and ready to use in case the storm warrants use of such equipment. Please stay in touch via Amateur Radio by going to your local SKYWARN Repeater during the event or ARES/RACES repeater once we are in the recovery phase of the storm. I hope this storm spares us the significant damaging aspect of it. If it doesn’t, I look forward to working with all of you. This notice may be updated later today with additional information if necessary. PENDING STORM SPEED OF APPROACH TO THE REGION…. All Eastern Massachusetts ARES personnel are requested to go to Standby Mobilization effective 6 AM Sunday February 12th, 2006. A major nor’easter/blizzard will impact Eastern Massachusetts with 8-15 Inches of snow with potentially higher amounts, potential for snow/wind damage, and moderate coastal flooding. The greatest threat for major infrastructure damage is first and foremost on Cape Cod and the Islands and East Coastal Massachusetts. See Blizzard Coordination Messages for details on Blizzard/Winter Storm/Coastal Flood Watches/Warnings. Control/liaison center for Eastern Massachusetts ARES, will be active either late tonight or Sunday Morning and throughout the day on Sunday. Its goal will be to assess any issues requiring ARES assistance and assist with report gathering for NWS Taunton station WX1BOX. ….TIMEFRAME COULD BE BACKED INTO LATE TONIGHT PENDING STORM SPEED OF APPROACH TO THE REGION…. All Eastern Massachusetts ARES personnel are requested to go to Standby Moblization effective 6 AM Sunday February 12th, 2006. A major nor’easter/blizzard will impact Eastern Massachusetts with 8-15 Inches of snow with potentially higher amounts, potential for snow/wind damage, and moderate coastal flooding. The greatest threat for major infrastructure damage is first and foremost on Cape Cod and the Islands and East Coastal Massachusetts. See Blizzard Coordination Messages for details on Blizzard/Winter Storm/Coastal Flood Watches/Warnings. “Telegraphic code dictionaries were an integral part of telegraphic message practice ca. 1870–1930. This exhibit presents a variety of telegraphic code dictionaries, as well as coded telegrams and related materials, drawn from several library and archival collections at Harvard. Other contributors to this exhibition include Baker Library, Baker Library Historical Collections, Harvard-Yenching Library, Harvard Law School, the Harvard Theatre Collection, Widener Library, and Wolbach Library. This exhibit can be viewed when the library is open. For details, call John McVey at 617-661-4276. The Framingham Amateur Radio Association will host an “ARRL Night” on March 2 at 7:30 p.m. in the basement of the Danforth Museum in Framingham MA. The featured speaker will be Allen Pitts, W1AGP, ARRL’s PR and Media Manager. For more information, visit the FARA website at http://www.fara.org. The Quannapowitt Radio Association will hold a Technician licensing class every Tuesday night for eight weeks beginning March 7, 2006 from 7:00 to 9:00 p.m. The classes are to be held in the Community Training Room of the Reading police station, 15 Union Street, Reading MA. The fee is $50, which includes costs of training manual, examination materials, training room rental, and one-year membership in the Quannapowitt Radio Association. A reminder that the monthly ARES Net for February is rapidly approaching. The monthly ARES Net for February is February 6th, 2006, at 8:30 PM on the MMRA Repeater system. This is after the RACES Nets earlier in the evening. Thanks to all for your continued participation!